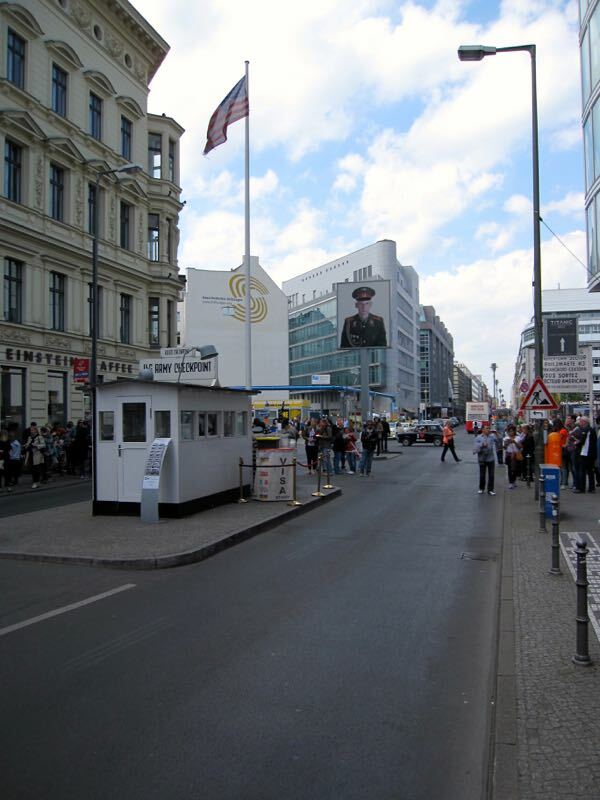 The name of the post is from JFK’s (President of the United States John Fitzgerald Kennedy) speech in West Berlin June 26 1963 some 22 months after the Berlin wall was erected on August 13 1961 as a means of keeping people in East Germany from fleeing to West Germany. 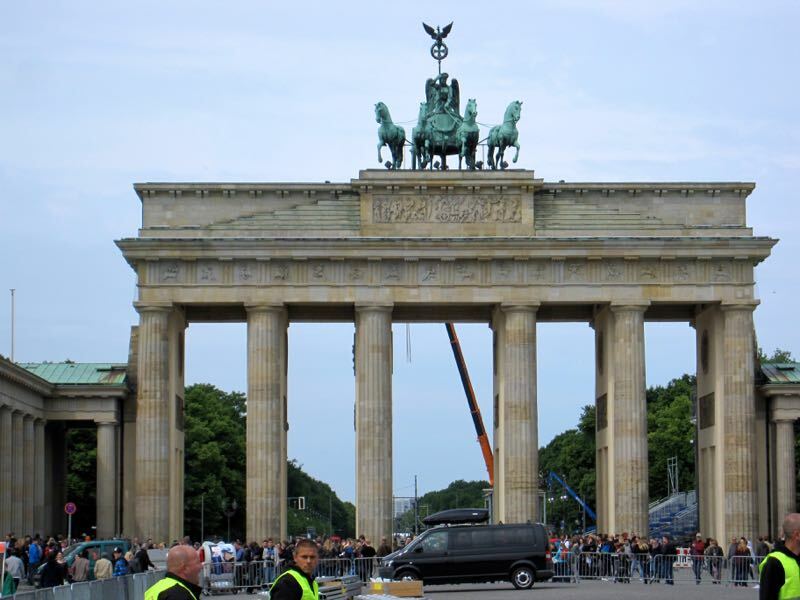 Today Berlin is once again a united city and construction is still ongoing to bring the former East up to the standards of the West. It is a vibrant city with a lot of things to do and see. 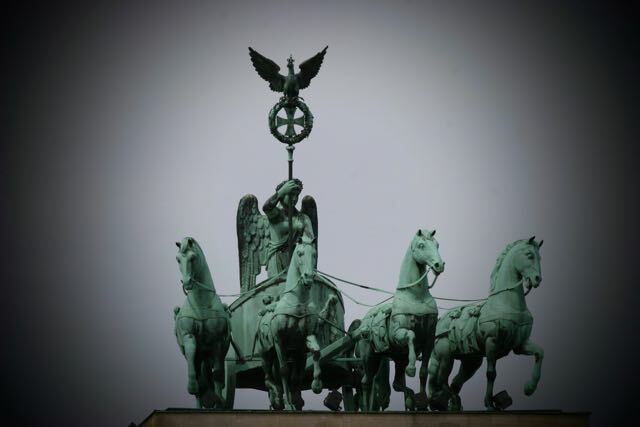 The photos are from a recent visit to Berlin in May 2015. 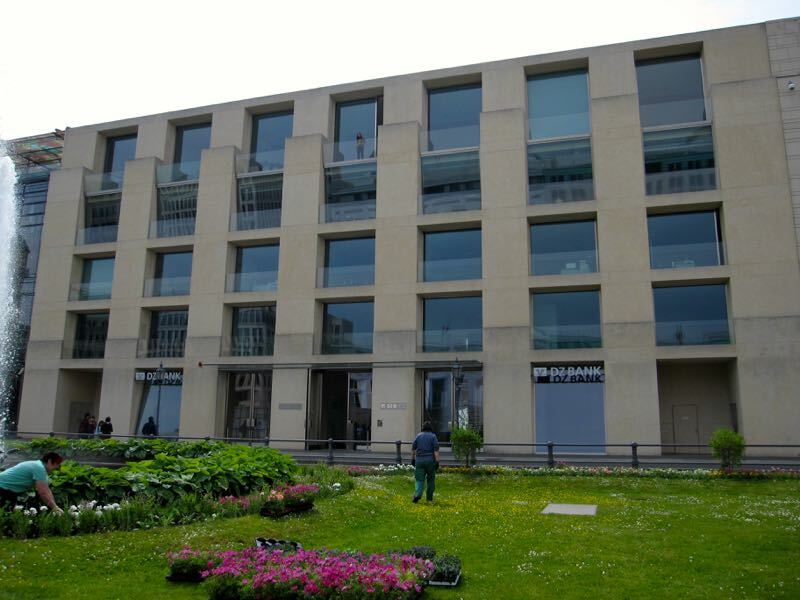 The area around the Brandenburger Tur is an interesting area with a lot of different buildings to see, the Reichstag, the Gehry designed Deutsche Bank building, and many other interesting sites around. 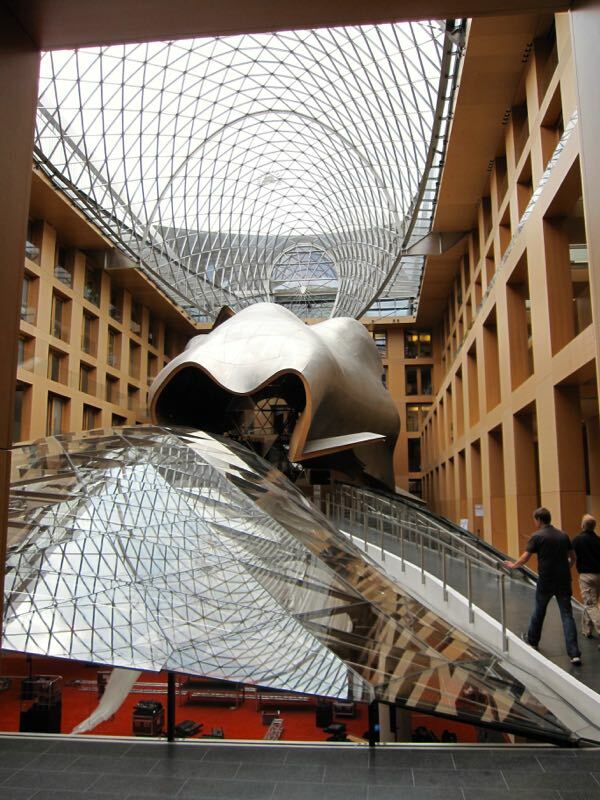 When you look at the Deutsche Bank building next to the US Embassy by the Brandenburger Gate, it is hard to believe that the building was designed by Frank Gehry and constructed 1998-2000. If you peek inside it becomes more clear that this is indeed a Frank Gehry design. When Berlin was divided between East and West some U-Bahn lines were cut off and two were allowed to pass through East Space with no stops creating ‘Ghost stations” where trains would pass by without stopping. 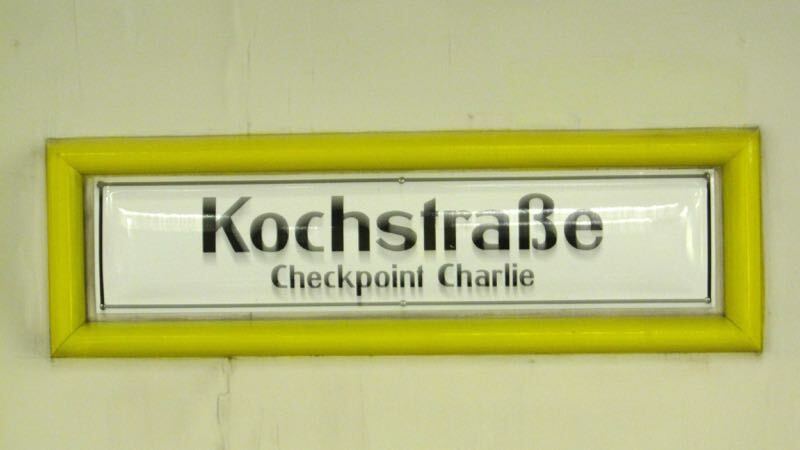 one stop on the West Berlin route at Friedrichstrasse was used as a transfer point between the transportation systems and as a border crossing into East Germany. The German Reichstag building in Berlin where the German Bundestag (Parliament) meets. 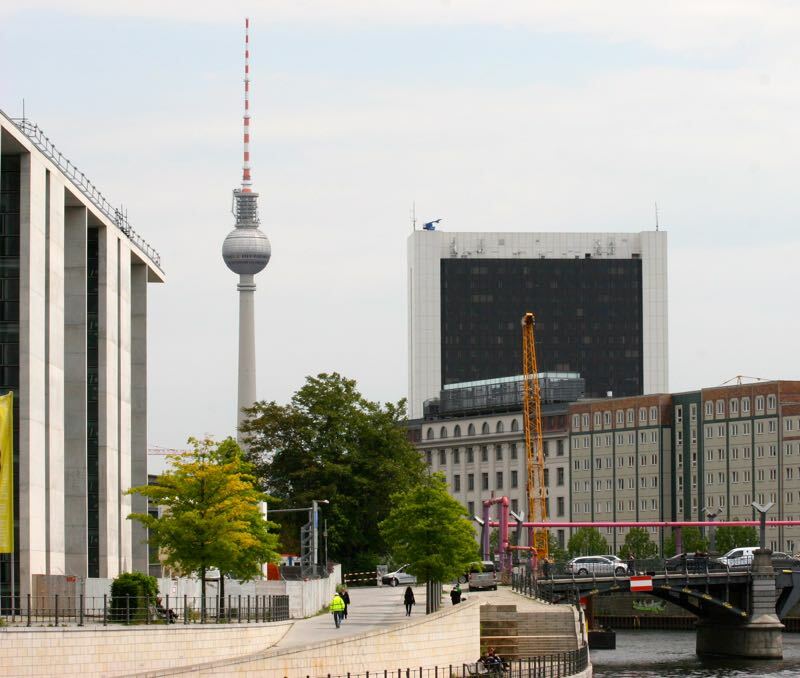 To the right in the above picture is former East Berlin where the old German Reichstags building was. 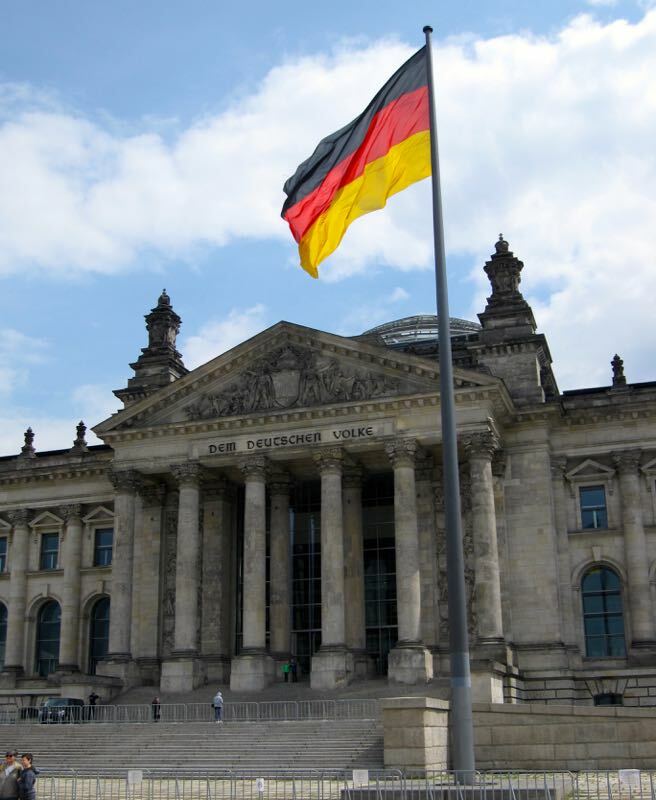 It was damaged in a fire 1933 and not used until German unification and an ensuing renovation that started in 1990 and lasted until 1999 when it once again started housing the German parliament. Berlin Wall footprint at the River Spree behind the Reichstag building looking towards the river. East Germany was on the left and on the other side of the river. 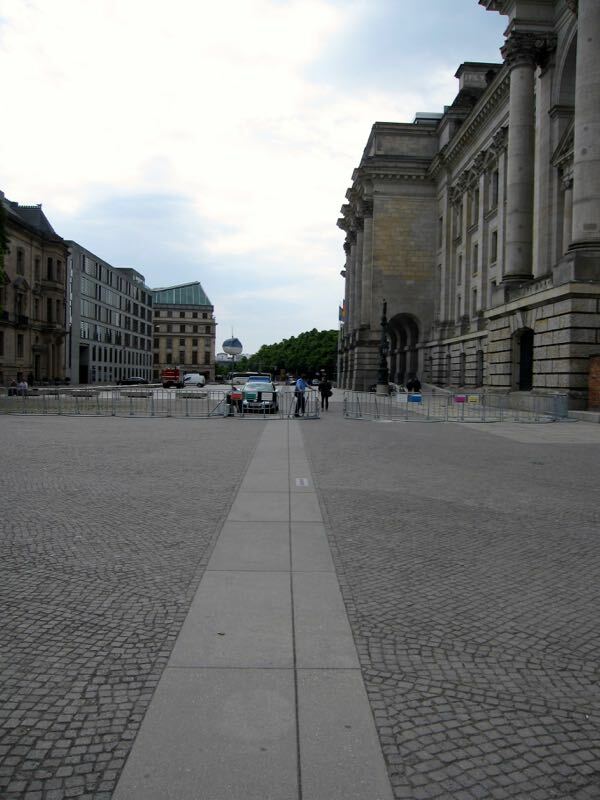 The Berlin wall ran right behind the Reichstag building dividing the city of Berlin into to parts, East and West Berlin. 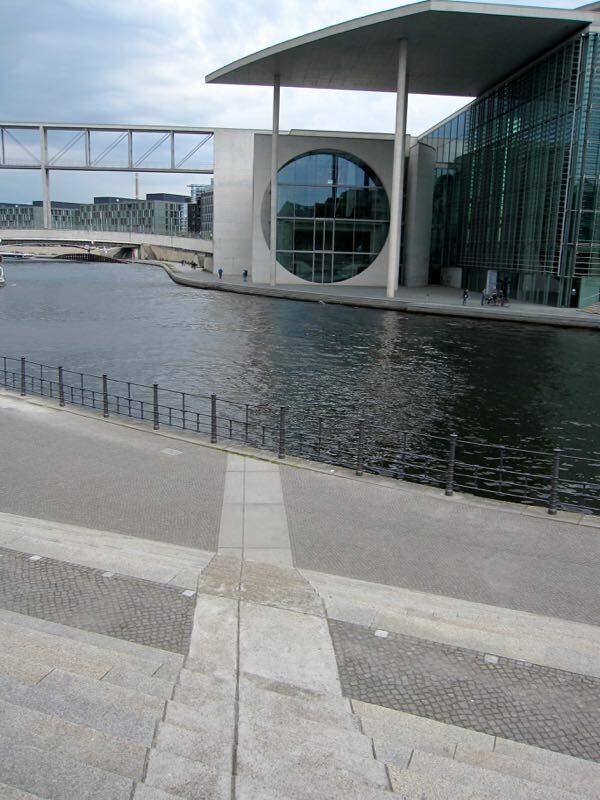 The river Spree was part of East Germany and acted as a border between the two parts. 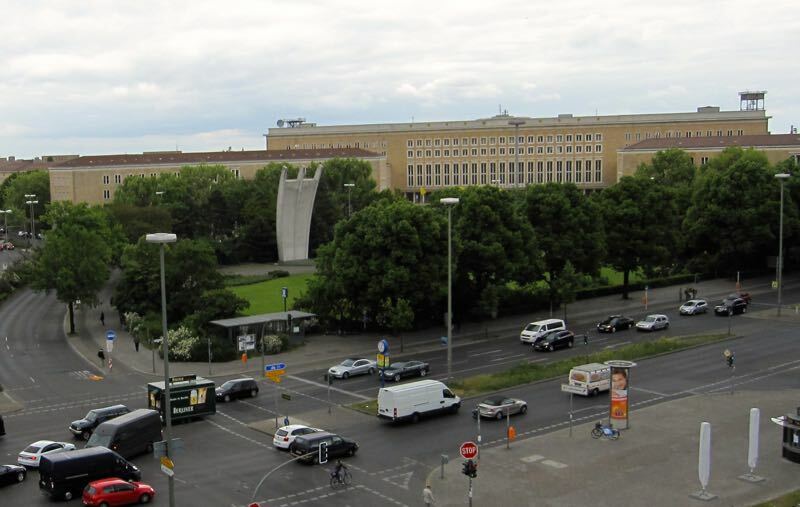 Tempelhof Airport, or as it was called in German, Zentral Flughafen. It was designated as an airport in 1923 and the terminal building was constructed in 1927. 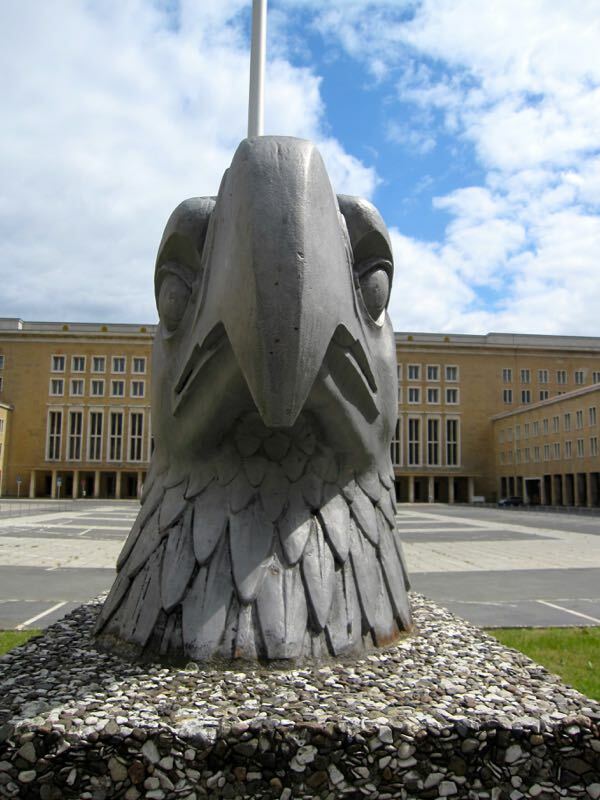 This is where the famed Berlin airlift took place in 1948-49. “Operation Vittles” as it was called started June 26 1948 when a US Air-force Douglas C47 brought in 80 tons of supplies to the people of the city of West Berlin who’s supplies were cut off by a Soviet shut down of all access roads and waterways into West Berlin, only three air corridors remained open.. The airlift was later joined by US Navy and the British Royal Air-force as well as various private airlines from England. A unified command was created to coordinate the effort, it was called the Combined Airlift Task Force. 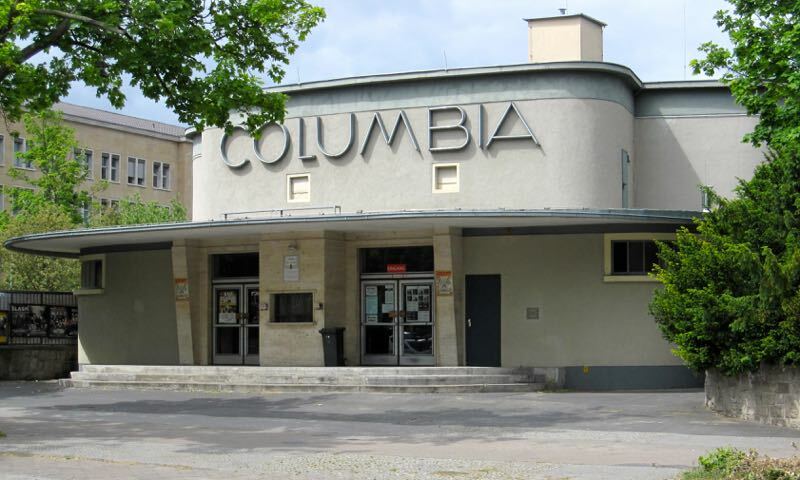 The above building was part of a complex built in 1951 for the US Air-force personnel stationed at Tempelhof Airport across the street, this was a movie theater with a 400 seat capacity and next to it was the Columbia Hall which was a bigger sports building also for the USAF personnel.